Beyond visible nonverbal behaviour such as facial expressions and gaze, physiological signals carry important and “honest” information for understanding others’ behaviour. Indeed, it has been shown  that they can be suitably exploited for both analysing and simulating core affect states. In that case heart rate variability from ECG and electro-dermal (EDA) signals have been exploited as captured by sensors along the experiment in a classic lab setting. Whilst suitable for general modelling purposes, signal acquisition in a lab setting might not always be appropriate and/or suitable. A novel field we are currently investigating concerns remote physiological measurements. This allows, for instance, contactless recording of electromyography (EMG) signals . 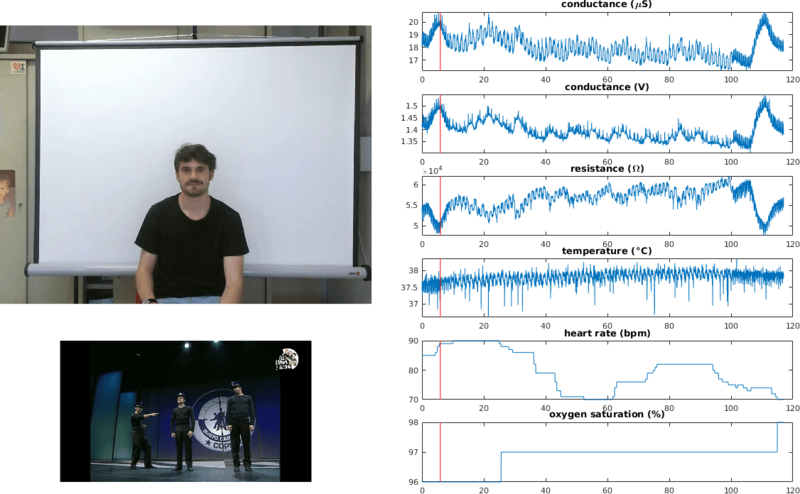 In particular, we addressed the problem of simulating electromyographic signals arising from muscles involved in facial expressions - markedly those conveying affective information -, by relying solely on facial landmarks detected on video sequences. 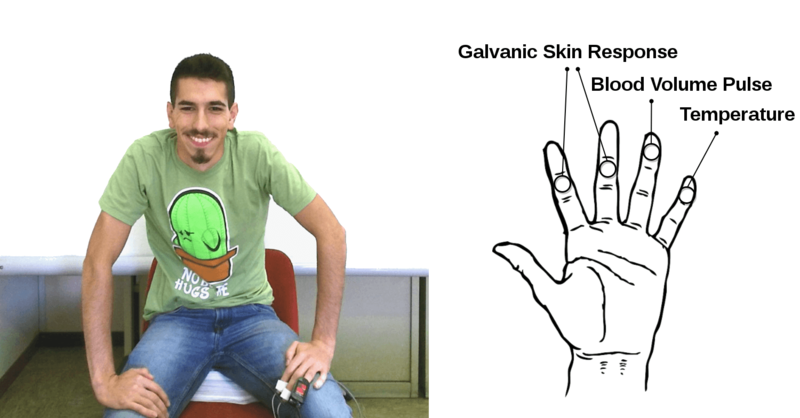 We have proposed a method that uses the framework of Gaussian Process regression to predict the facial electromyographic signal from videos where people display non-posed affective expressions. Giuseppe Boccignone, Donatello Conte, Vittorio Cuculo, Alessandro DAmelio, Giuliano Grossi, and Raffaella Lanzarotti. Deep construction of an affective latent space via multimodal enactment. IEEE Transactions on Cognitive and Developmental Systems, 2018. Giuseppe Boccignone, Donatello Conte, Vittorio Cuculo, and Raffaella Lanzarotti. Amhuse: a multimodal dataset for humour sensing. In Proceedings of the 19th ACM International Conference on Multimodal Interaction, pages 438–445. ACM, 2017.